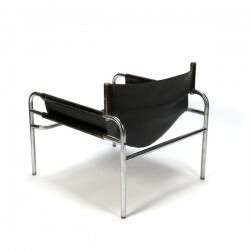 Vintage design chair designed in 1971 by Walter Antonis and been in production for 't Spectrum from 1971 to 1974. 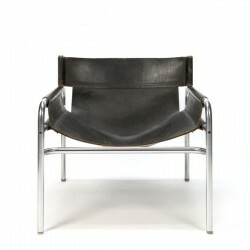 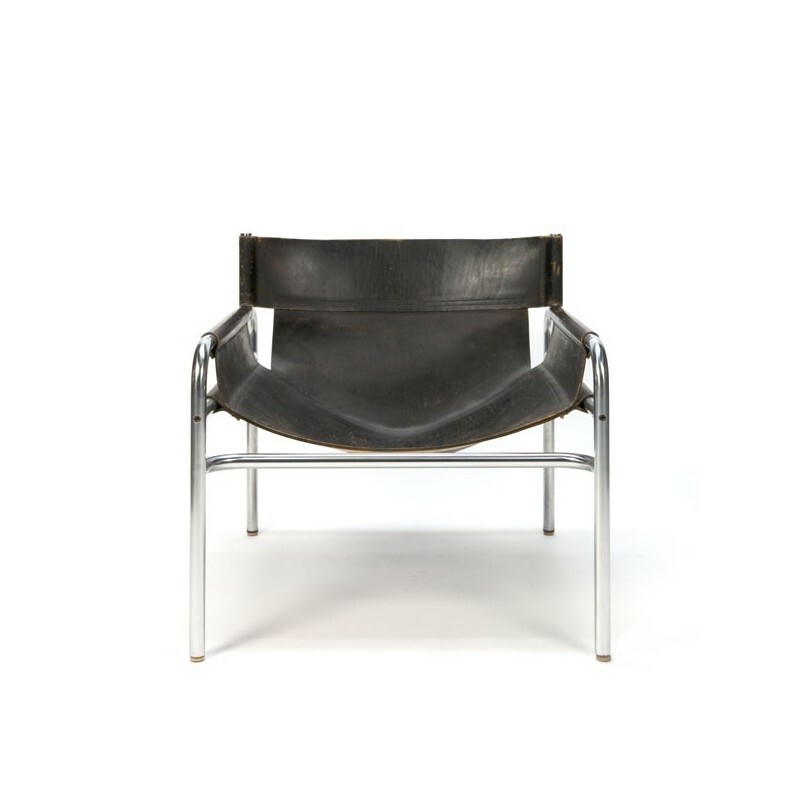 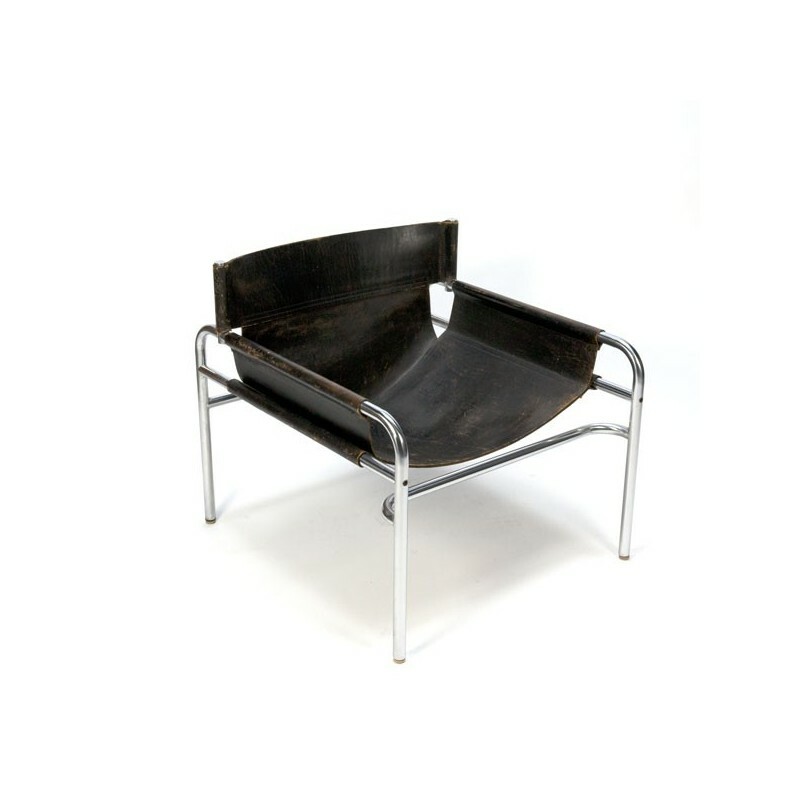 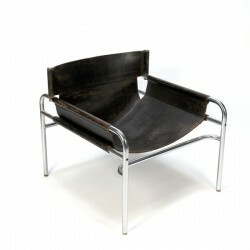 The chair has a chrome tubular frame and black harness leather upholstery. The condition is good considering the age, but the leather is clearly used (see the detail photos) which gives the chair certainly charm. 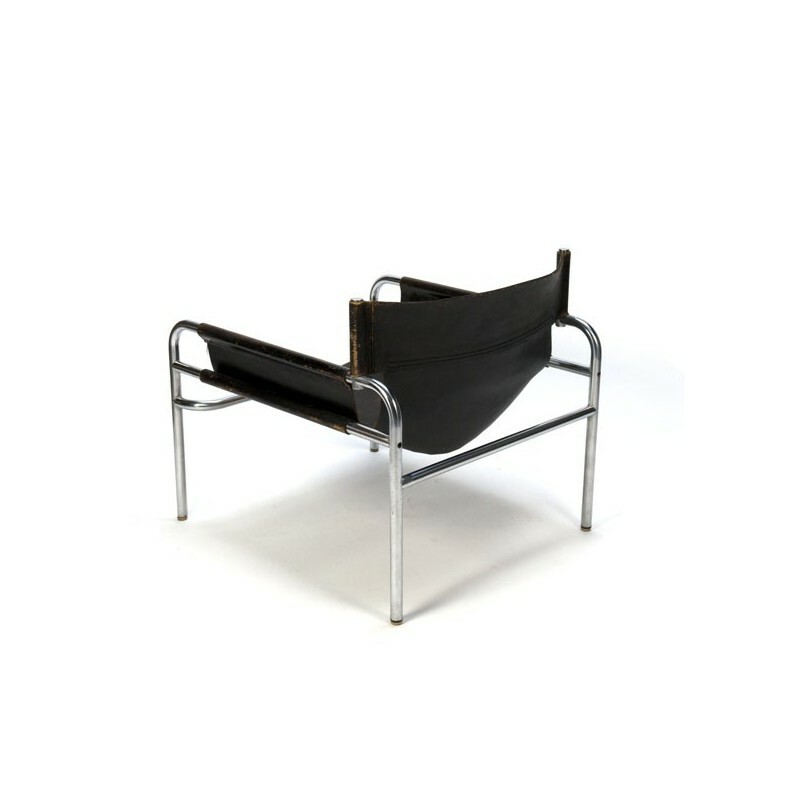 The size is 67 cm W / H 65 cm / 75 cm D.